Michelle Bachelet, the UN High Commissioner for Human Rights, speaks to the press at UN Headquarters in New York. 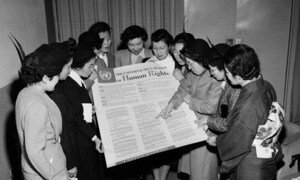 The Universal Declaration of Human Rights (UDHR) is 70 this year and since then, it’s helped improve the rights of vulnerable women, children and men worldwide. 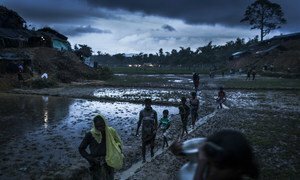 The “Good Human Rights Stories” initiative was launched by 14 countries and the European Union to highlight the strengthening of rights, and inspire nations worldwide to follow suit.